Best Trains From Delhi to Kolkata: Which are They? If you want to save money traveling from Delhi to Kolkata, you can take the train and be there overnight in less than 17 hours. Find out about the best trains from Delhi to Kolkata here. The main railway station in Delhi is New Delhi Railway Station (NDLS), near Paharganj. Trains to Kolkata also depart Delhi from H. Nizamuddin Railway Station (NZM), which is in South Delhi about 20 minutes from New Delhi Railway Station. Trains arrive at both Howrah Junction (HWH) and Sealdah (SDAH) railway stations in Kolkata. 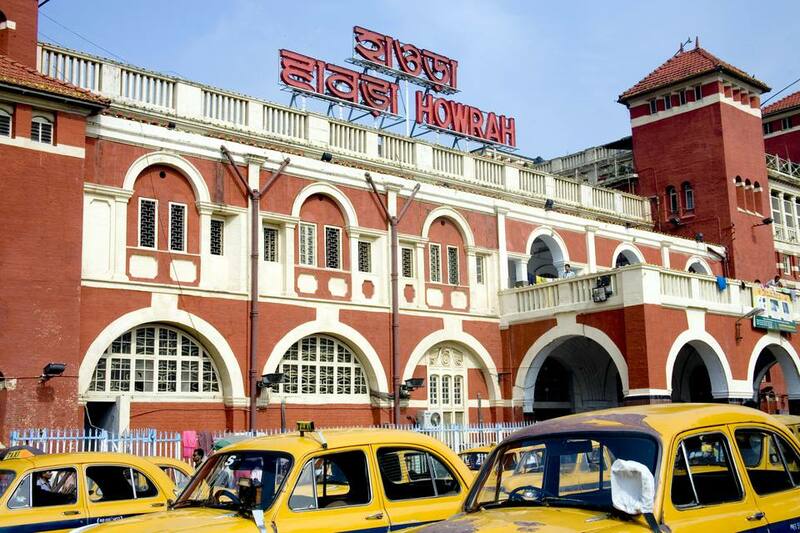 Howrah station is situated a short distance north of the city center, on the other side of the Howrah Bridge, across the Hooghly River. Sealdah station is located to the east of the city center. The fastest trains are the premium Rajdhani and Durono ones. These are special long distance trains between cities and have minimal stops. The main difference between the two services is that some Duronto trains have sleeper class carriages without air conditioning, while Rajdhani trains only ever have air-conditioned ones. In regards to speed and punctuality, Rajdhani trains have priority over all over trains, including Duronto trains. The fares of popular premium trains, such as Rajdhani and Duronto trains, are based on dynamic pricing and vary according demand. Sometimes, the fares can be as high as airfares, so it's worth checking and comparing both. Tickets under the Foreign Tourist Quota can be booked in person at the International Tourist Bureau at New Delhi Railway Station. It's located upstairs in the main building (Paharganj side) and is open 24 hours. Don't believe anyone who tells you that it has moved or is closed because they are trying to scam you. Refer to this Guide to Classes of Travel on Indian Railways if you're unfamiliar with the accommodations on Indian Railways. For information about booking, see How to a Make Reservation on Indian Railway Trains. The fastest and most convenient option is the daily 12302 New Delhi-Howrah Rajdhani Express, which has seven stops and completes the journey in 17 hours. It departs New Delhi Railway Station at 4.55 p.m. and arrives at Howrah in Kolkata at 9.55 a.m. the next morning. The train fare is subject to dynamic pricing. The fare for 1AC (first class, air conditioned sleeper) is 4,825 rupees. 2AC (two tier, air conditioned, sleeper) ranges between 2,885-4,153 rupees. 3AC (three tier, air conditioned sleeper) ranges between 2,080-2,778 rupees. There's a pantry car and meals are included in the fare, although it's possible to opt out of this. The train runs via Gaya, except for Fridays when it runs via Patna (this adds more than two hours of travel time to the journey). Cleanliness and punctuality are excellent, and ticket availability and food are good. See train information. The 12260 New Delhi-Sealdah AC Duronto Express is also scheduled to undertake the trip in 17 hours, and has only three stops. However, it often gets delayed and reaches Kolkata about two hours late. This train runs on Monday, Tuesday, Thursday, and Friday. It departs from New Delhi Railway Station at 7.40 p.m. and is arrives at Sealdah the next day 12.45 p.m. The train fare is also subject to dynamic pricing. The fare for 1AC is 4,835 rupees. 2AC ranges between 2,860-4,140 rupees. 3AC ranges between 2,050-2,754 rupees. The train has a pantry car and meals are included in the fare. Cleanliness is and ticket availability are excellent, and food is good. See train information. The 12314 New Delhi-Sealdah Rajdhani service is another relatively fast option, taking 17 hours and 45 minutes for the trip. It has six stops and runs every day. The train departs New Delhi Railway Station at 4.25 p.m. and arrives at Sealdah in Kolkata at 10.10 a.m. the next morning. The train fare is subject to dynamic pricing. The fare for 1AC is 4,880 rupees. 2AC ranges between 2,905-4,185 rupees. 3AC ranges between 2,095-2,799 rupees. There's a pantry car and meals are included in the fare, although it's possible to opt out. Cleanliness and punctuality are excellent, and ticket availability and food are good. See train information. The 12274 New Delhi-Howrah Duronto Express is also a popular choice because it has sleeper class. However, it only runs on Tuesday and Saturday, and getting a ticket can be a challenge due to availability. The punctuality of the train is frequently an issue too, as it reaches Kolkata up to four hours late. The train departs New Delhi Railway Station at 12.55 p.m. and arrives at Howrah at 10.40 a.m. the next morning. The train fare is subject to dynamic pricing. The fare for 1AC is 5,165 rupees. 2AC ranges between 3,110-4,433 rupees. 3AC ranges between 2,280-3,010 rupees. Sleeper ranges between 920-1,261 rupees. The train has a pantry car and meals are included in the fare. Cleanliness is excellent. See train information. There are numerous other slower, less convenient sleeper trains that run from Delhi to Kolkata. These trains can be found here or by searching the Indian Railways website.